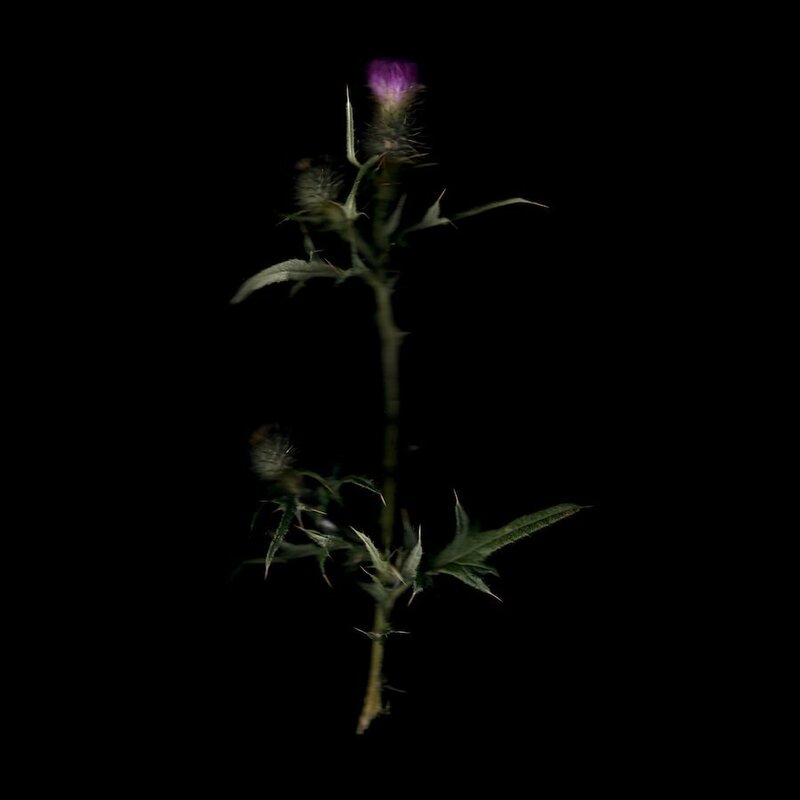 Scottish Thistle, is native to Europe and has naturalized here. Considered invasive by many, in wild places, bees love thistle. A bee and gardener friendly thistle can be found in the beautiful Globe Artichoke. Artist Georgia Gibbs captures images from the natural world. By bringing it into tight focus she invites the viewer to a more intimate relationship with the world underfoot.